Reports suggest that the new Mazda MX-5 will hit showrooms as a more youthful and edgier iteration in comparison to its predecessor. According to Chief designer Peter Birtwhistle this will be a more “masculine” version of the current car. His precise comments were if he had to describe it in one word it would be “edgy,” giving consumers more of a surprise. Speaking to Auto Express at the 2014 Geneva Motor Show, Birtwhistle explained how he feels this “tight edgy little car” is bound to appeal to a broader range of customers, although he’s aware of the clichÃ©s that comes with the MX-5 as it ages. Birtwhistle goes on to state that he thinks this version will attract plenty of younger guys, while he also mentions that this model will not continue the familiar look which was successfully introduced by the 6,3 and now the Hazumi concept. As the article discusses the target weight of under 1,000kg expected, Birtwhistle acknowledges how much of a challenge this will be, and mentions how it is hard to find another company that does lighter wheels. 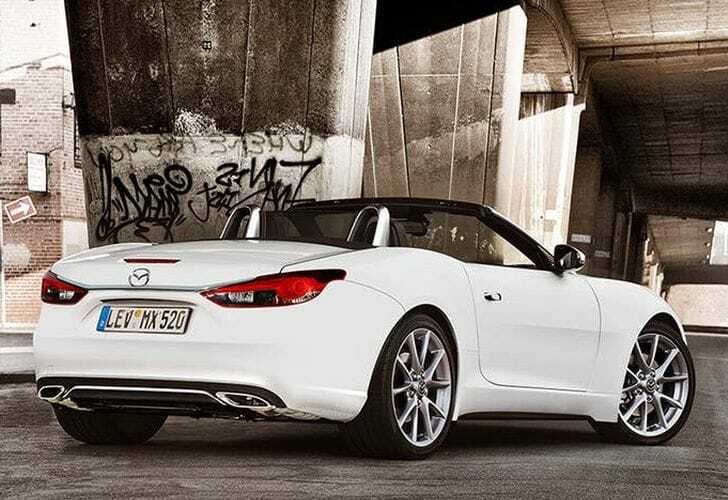 From what we understand the Mazda MX-5 is set to make its debut later this year, although we feel it looks in great shape for retail in 2015.